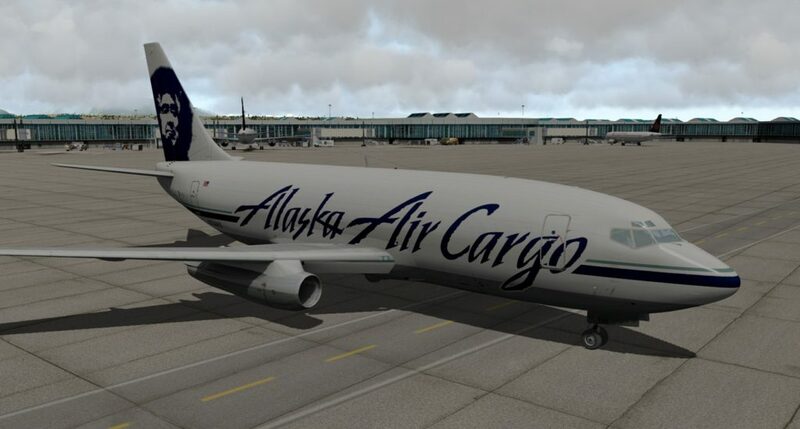 Bringing an aircraft to life from its slumber is one of the coolest aspects of being a flight simmer. In this article, we take a look at one of my favorite sim indulgences: The Nescient Cold & Dark Endeavor™. 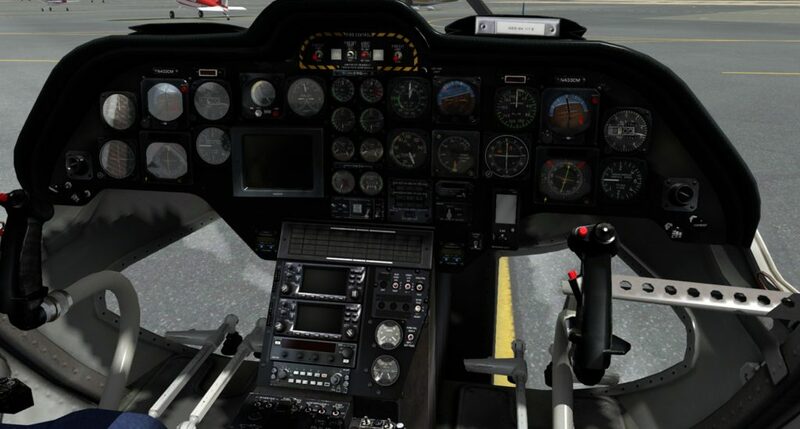 One of the aspects of our flight sim hobby that seems to be at least somewhat universal is that most of us are fairly patient gamers. 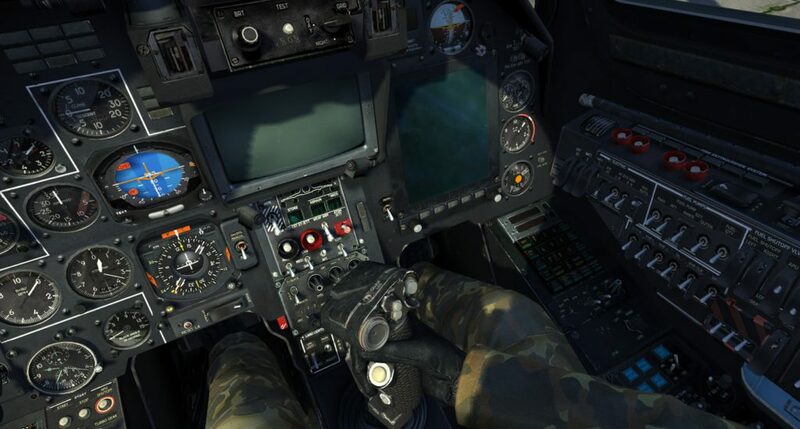 Whether you are playing DCS World, FSX, or X-Plane, there is usually a good investment of time and effort in doing whatever you plan to do each time you sit down in front of the computer. 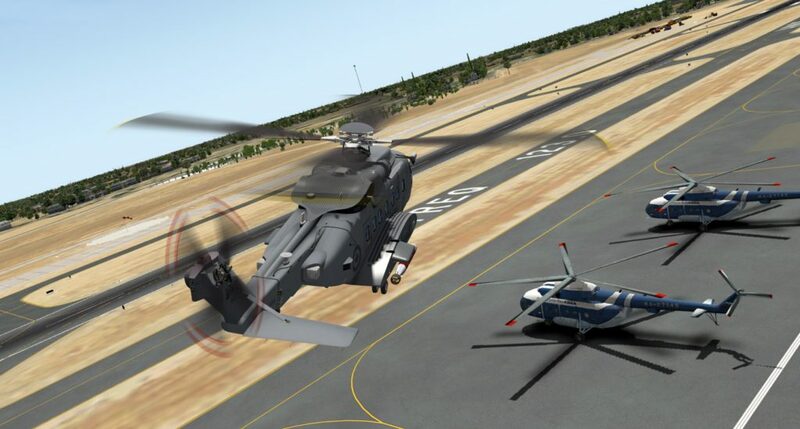 Of course, for a quick fix, we can load up missions or flights that have engines running, or that have instant combat, so there isn’t necessarily a requirement for our sim sessions to be time intensive. 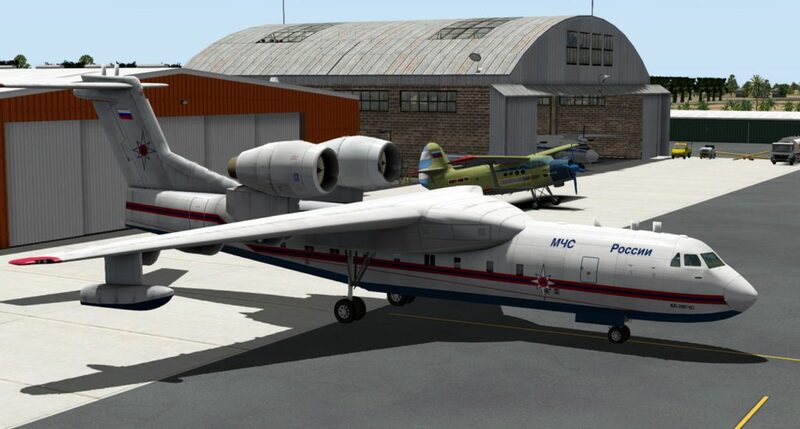 Personally, I’ve found that most of the satisfaction I get out of flight simming these days has less to do with the completion of specific mission requirements, but more enjoying the experience of getting the aircraft up and running and on the way (most probably to be shot down once I arrive at the area of operations). Since I often review aircraft modules for both PC Pilot magazine and this site, I’m usually trying to figure out some new and complicated aircraft that I try to learn in depth to disseminate accurate information to readers. Trying to come to grips with a new Russian aircraft or a highly complex PMDG aircraft, complete with complex systems and avionics, can be quite a challenge on such a recurring basis. As modules pass across my desk, I’ve come to enjoy a quirky habit of installing them, then diving into them cold (without any knowledge) and seeing if I can bring them to life. These attempts result in varying levels of success, but they are no less fun for the failures. I’d like to say the three can be ordered in level of difficulty, but that isn’t always the case. 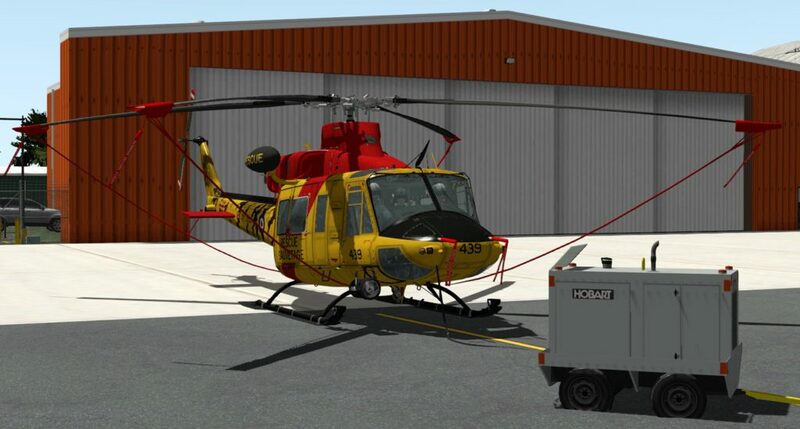 Occasionally, I’ve been stymied by Step 1 – getting electrical power to the aircraft. 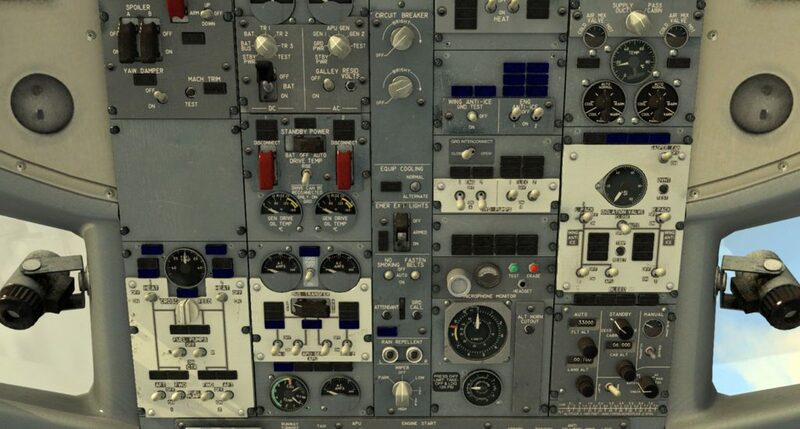 Generally speaking, you can usually hook a GPU up to the aircraft, find a battery switch, or find an APU start switch somewhere on the panel to provide power to the panels. This is where different sims can provide for varying challenges. 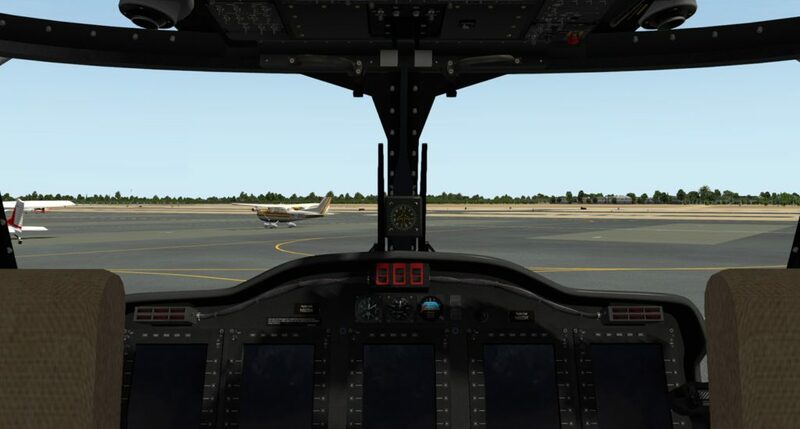 Some sims such as DCS World allow you to call a ground crew over the radio, or shout out of an open cockpit, to hook up ground power. Other sims and add-ons may require you to find a menu option in the toolbar that accomplish the same thing, or even a pop-up panel that is product specific that you would have to already know about from reading the add-on documentation. Since I go in with no knowledge to start, I may spend thirty minutes hunting around for a function that there is no way I’d know about unless I had read the documentation, so those are the instances that very often end in failure unless I happen upon the required function by accident. 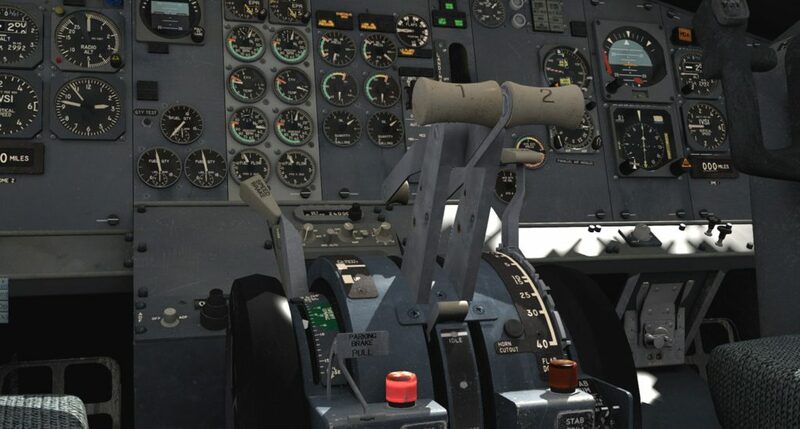 A great example of that would be something like the freeware Mi-2 for X-Plane which has a pop-up menu that appears if you click a certain area of the cockpit which allows you to remove the engine plugs prior to start. 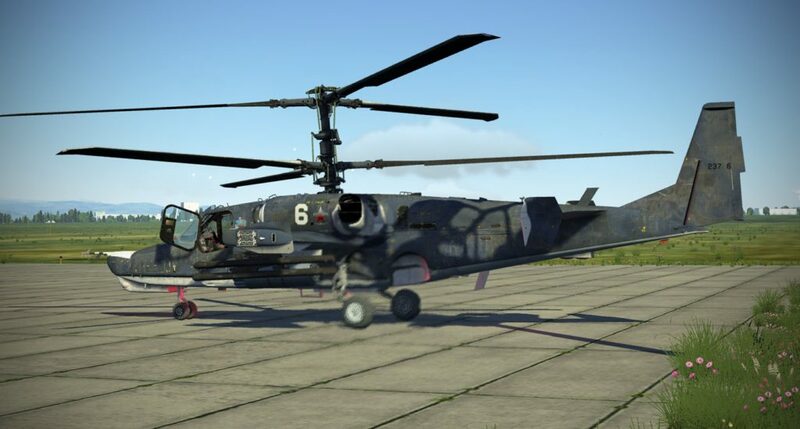 If you don’t do this, all the button pushing and lever moving in the world will not bring the Mi-2 to life. As well, the Mi-2 has some tricky little fuel cutoff levers that must be moved that are buried down on the floor between and behind the seats – so finding those can be a bit of luck as well. 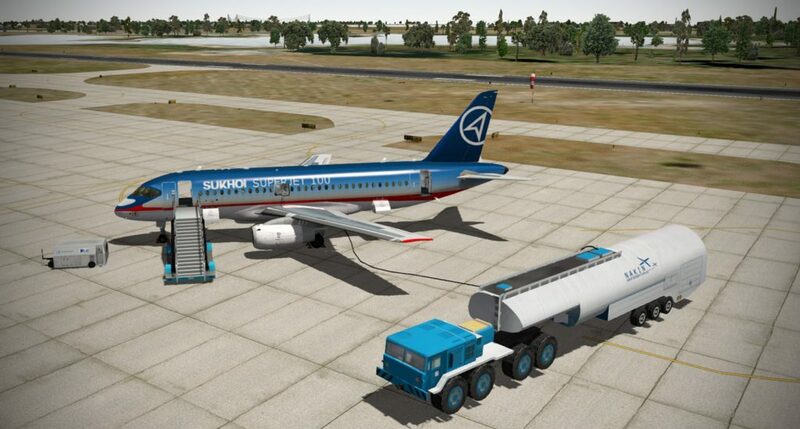 You aren’t going anywhere in the Sukhoi 100 or the JAR A320 if you don’t put fuel in them first. 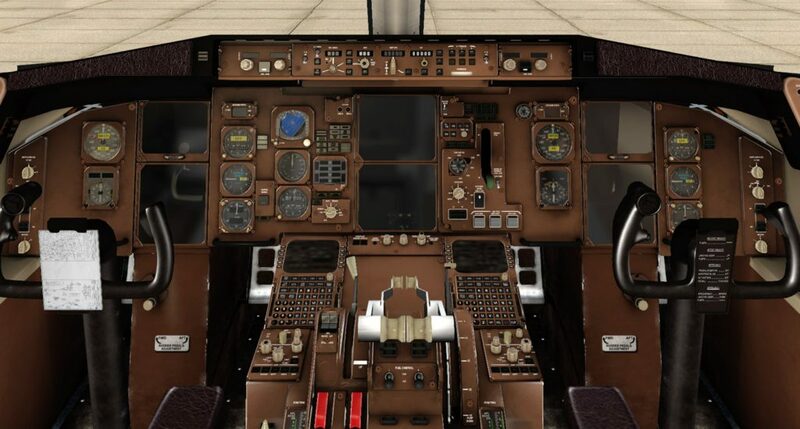 There can also be some challenges with regards to cockpit layout and ergonomics based on the country of origin of the aircraft. 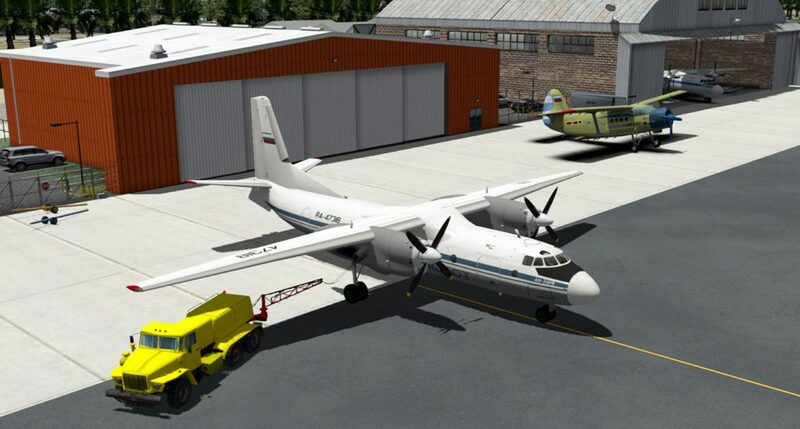 Aircraft inventories of my multiple sims include aircraft that were built in the United States, Russia, Ukraine, France, Germany, Brazil, and a few other countries. 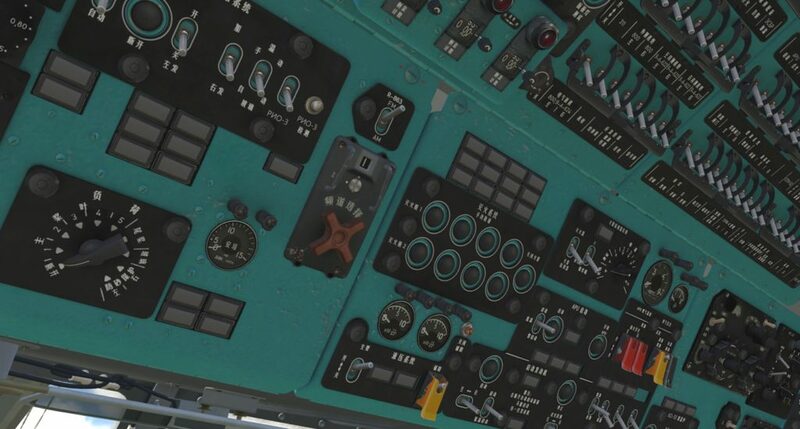 As well, the age of the aircraft has a lot to do with how the cockpit is laid out. 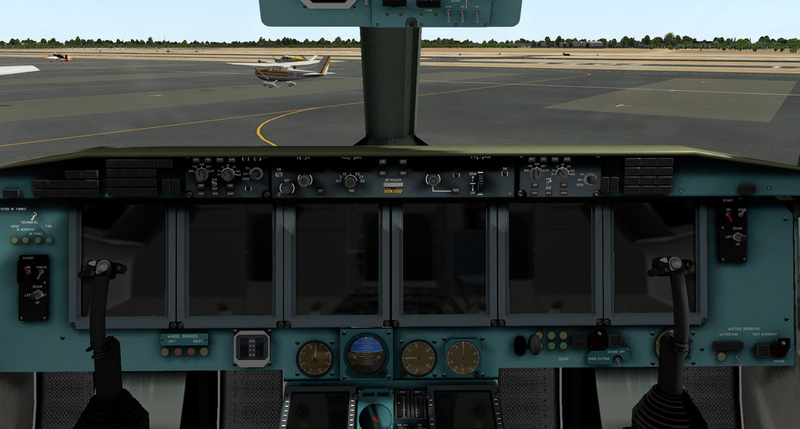 Aircraft built in the last few decades tend to have more attention paid to cockpit “flows” and an orderly arrangement of panels, while older aircraft might have switches and knobs placed all over the aircraft. 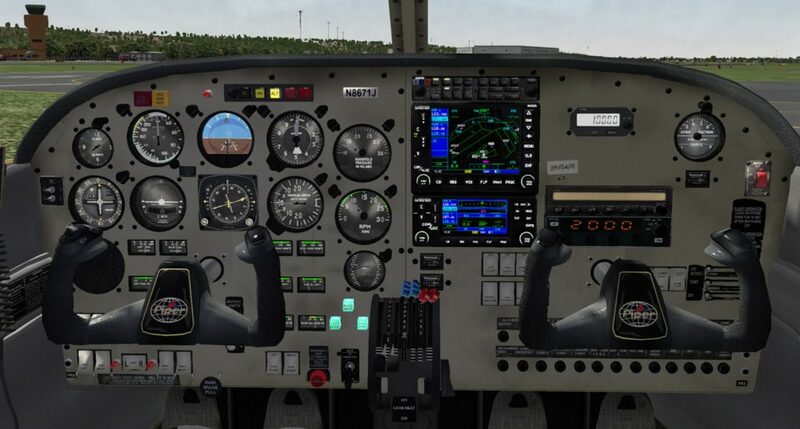 The Felis Antanov An-24RV is one of the most complicated aircraft available for any simulator. I found it was impossible to get it started without extensive use of the checklist. 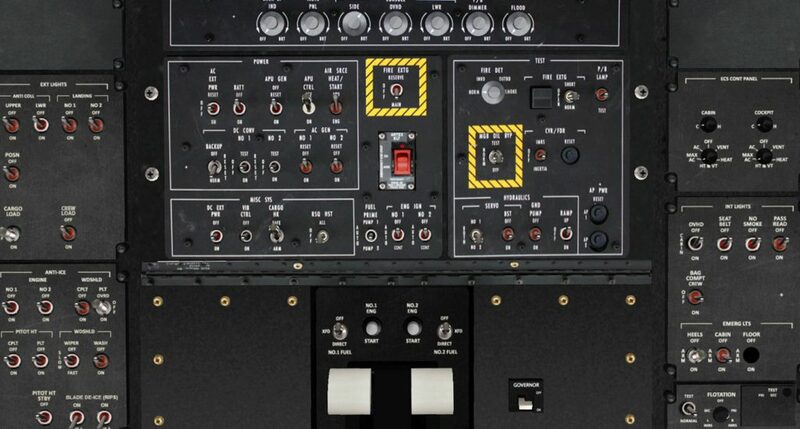 Intuition won’t help with the An24, but 2D pop-up panels are a nice feature that make looking for switches a bit easier. 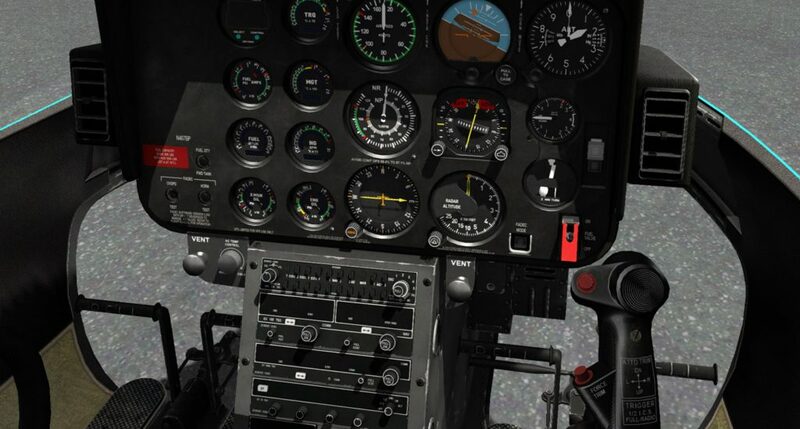 Occasionally, the switch you need is buried under something else in the virtual cockpit, resulting in TrackIR gyrations that will make your wife think you are having a seizure. 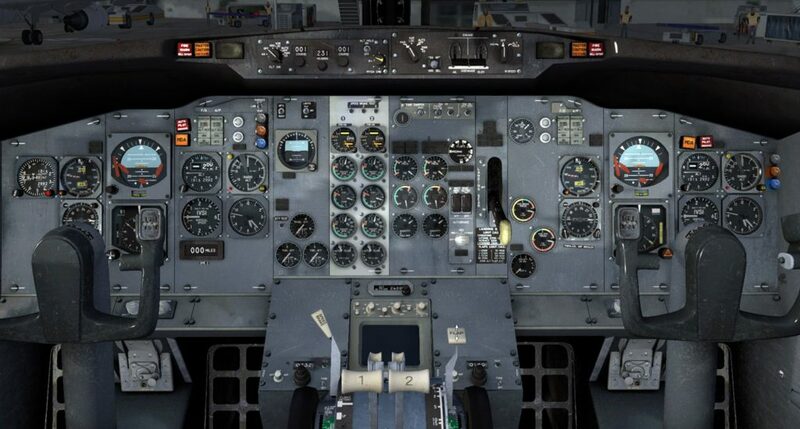 Over the past few decades, aircraft manufacturers have embraced the science of ergonomics resulting in cockpits that are easier to navigate. 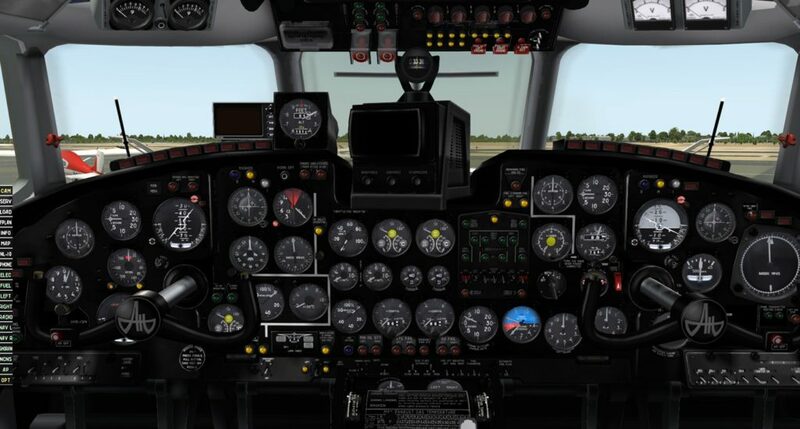 Logical grouping of systems controls (hydraulic, pressurization, electrical, fuel, etc.,) and switches that are arranged in a semblance of their associated system’s paths have become the standard for overhead panels. Thus, you can usually trace the systems flow on the panel and correctly set the switches for the start and normal operation. 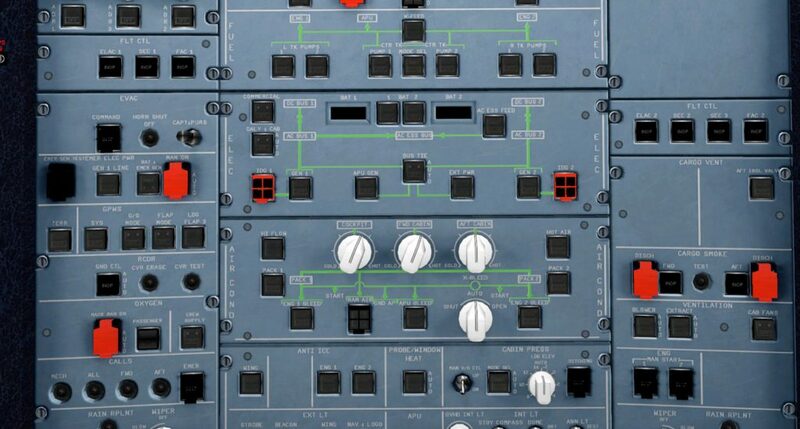 You can see the evolution of this type of flow based panel design on Boeing aircraft over time, while Airbus aircraft have pretty much used this layout from their inception. 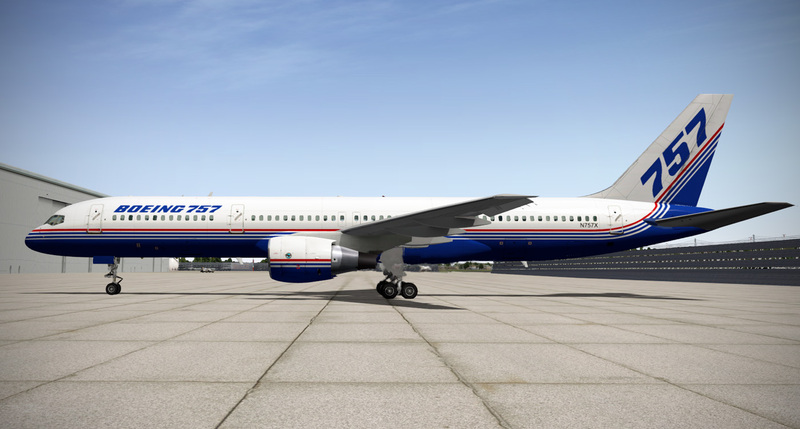 The FlyJSim 737-200 shows the early years of Boeing’s move toward flow-type cockpit layouts. Bringing the -200 to life from cold & dark can be done if you can figure out the fuel cutoff switches and get the APU running. 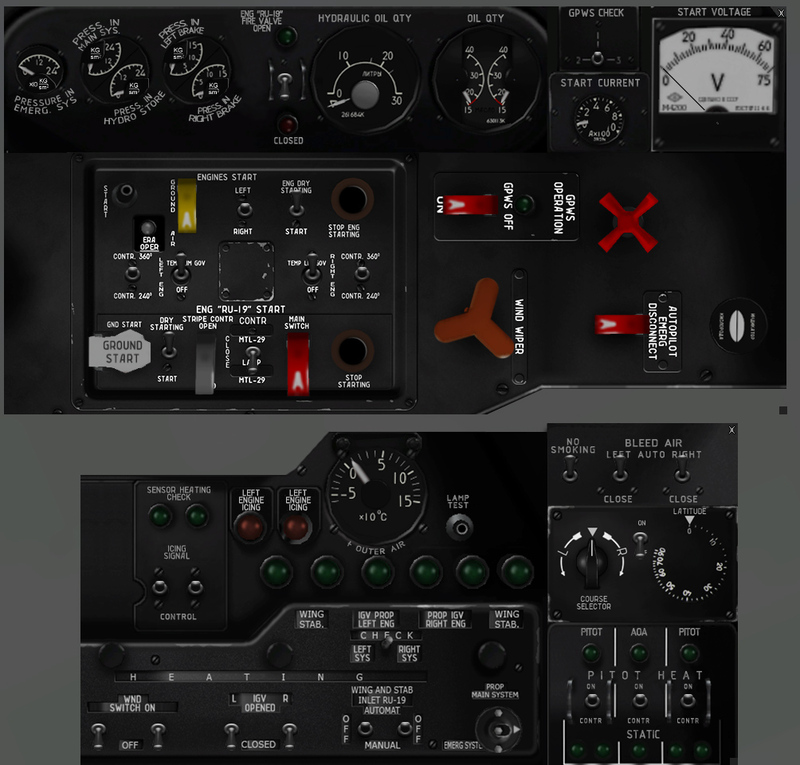 The VMax Boeing 757 panel in cold & dark state and showing the overhead panel with fuel, electric, and bleed air flow diagrams between the buttons and valve controls. The JAR Airbus A320neo overhead panel shows a clean layout with very little clutter. Bringing modern aircraft like the Airbus out of the cold & dark state is usually fairly straightforward. Another design philosophy that can help you in the quest to go from cold & dark to fully operational is the “dark panel” concept that many manufacturers have adopted. With this design philosophy, normal operations result in a nearly “dark panel” with very few lights or annunciators illuminated. This makes it easy to identify abnormal items because they stand out more. 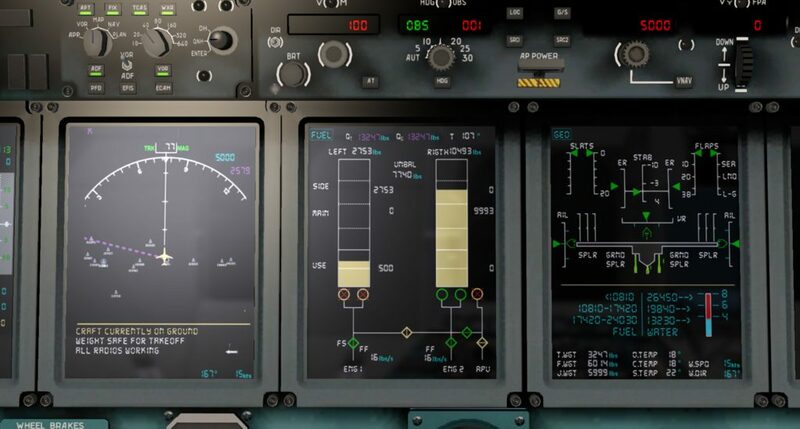 Some items will be “lights on” for normal operation when they are items that are only occasionally used during flight such as engine anti-ice or other switched state items that are only used for a limited period of time. Often these status lights that are normal use the cool end of the spectrum such as white, blue, or green, while abnormals tend to be the hot end of the spectrum with orange, yellows, and reds bringing attention to malfunctions. 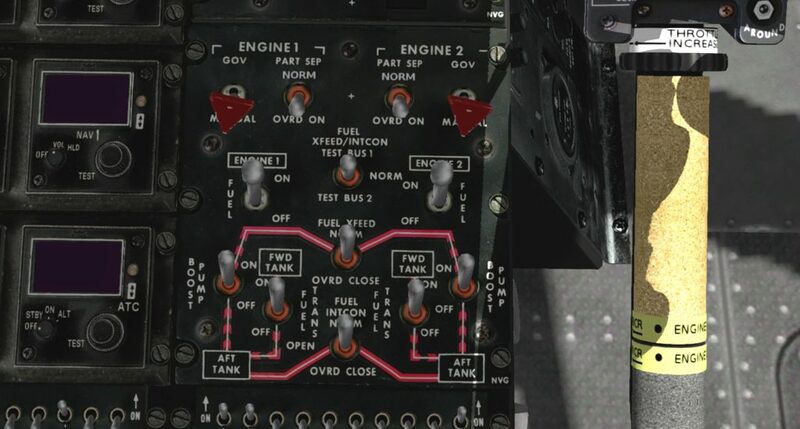 These two warning panels (MBB/Kawasaki BK-117 left / X-Trident Bell 412 right) will appear dark once all of the switches are set for normal flight. 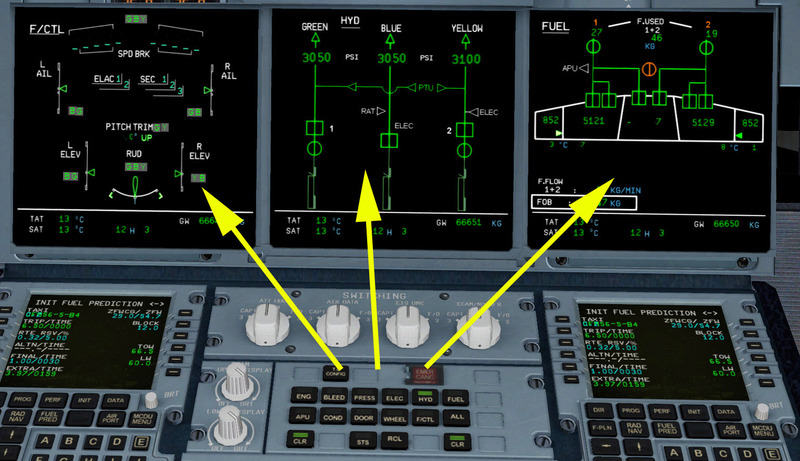 A quick glance at the panel prior to flight should alert you to any abnormal items. 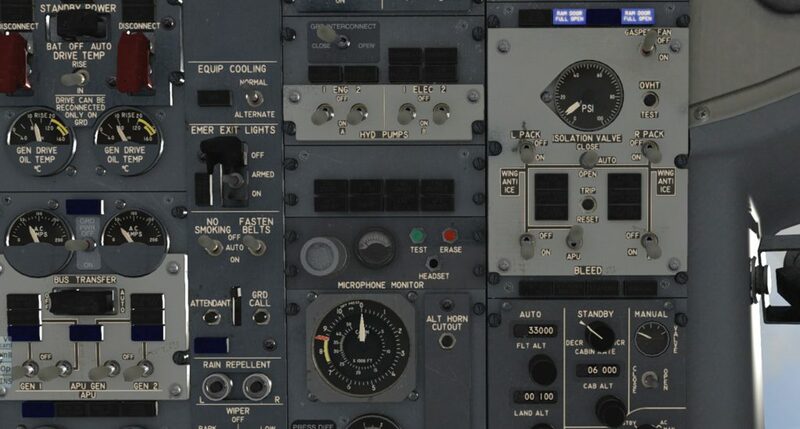 Of course, technology marches on, and ever more information has become available to pilots to help them manage complex aircraft systems and avionics. 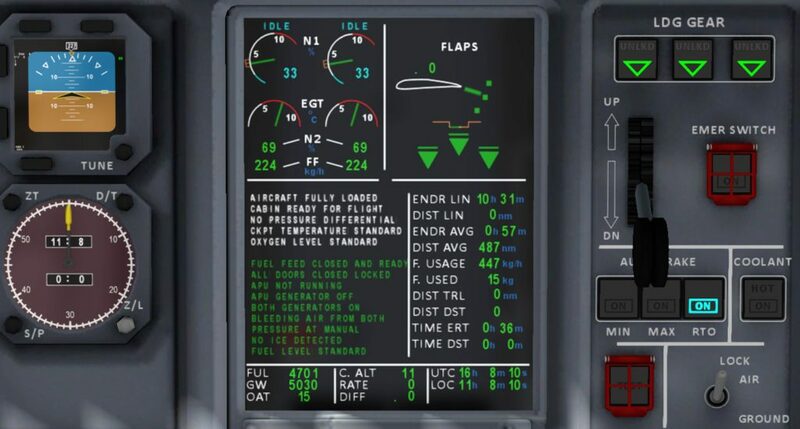 While lights and switch positions that line up with graphics are a nice tool to help you get the aircraft ready for flight from the cold & dark state, newer displays such as EICAS (Engine Indicating & Crew Alerting System) are very valuable since they show abnormal items in an easy to read format. Some EICAS messages are advisory, and some are warnings. 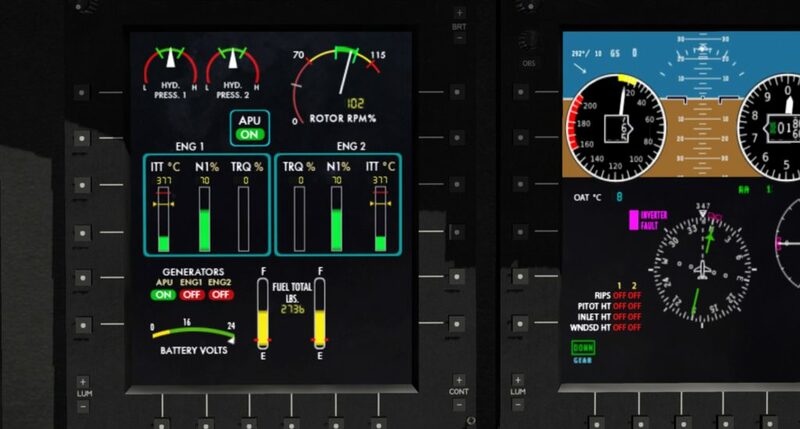 In addition to EICAS displays, many aircraft feature multiple, selectable MFD displays that actually show the circuitry and plumbing for all the systems to make identification of faulty switch positions easy. One of the cool things about attempting a cold & dark start with no knowledge of the aircraft is that it allows me to branch out from the rather rigid requirements of my real job. 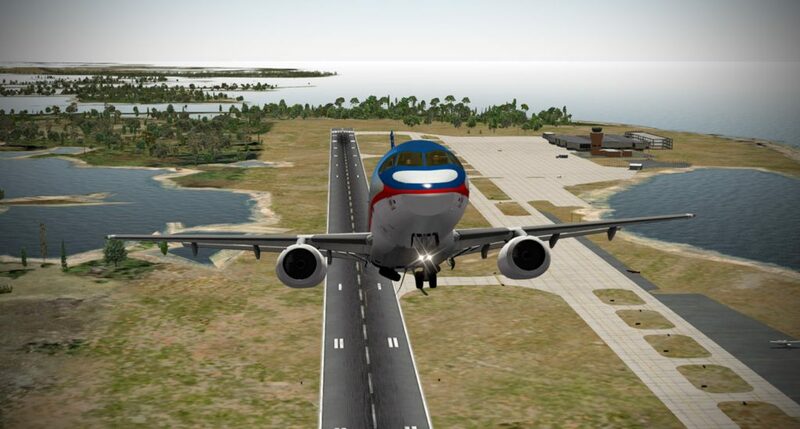 In real world aviation, taking a shortcut or a guess when dealing with a complex aircraft can result in hundreds of thousands, or even millions of dollars worth of costly repairs. There are all kinds of limitations and warnings that can be ignored in the simulated world that you’d never get away with in the real world. Starters, generators, batteries, engine temperatures, and dozens of other limitations are in place to prevent you from damaging expensive equipment. 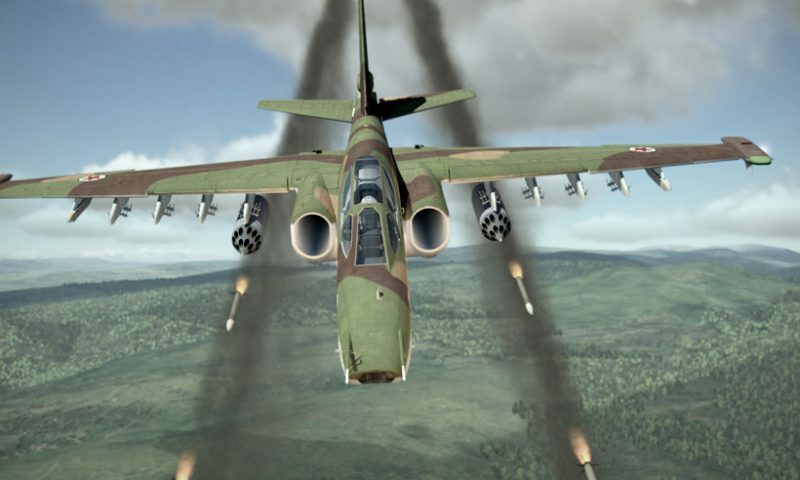 I’d hazard to guess that most people who consider themselves proficient in the DCS A-10C or Ka-50 cannot recite from memory the start limitations with regards to time and ITT. Real world aviation does not grant the luxury of a reboot. 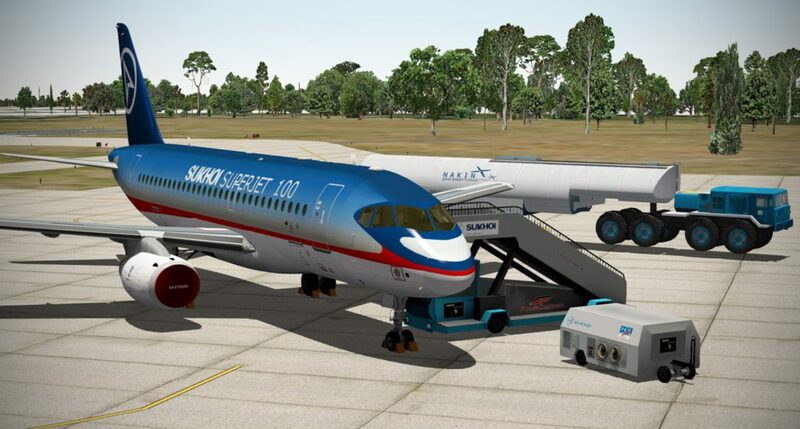 Some sim modules do model limitations in a meaningful way, rewarding faulty procedures with hot starts, engine fires, damage, and other failures. I’ve run across many of these failures in my attempts to bring aircraft out of their cold & dark states. It is always particularly demoralizing when the failure occurs late in the process when success is tantalizingly near. 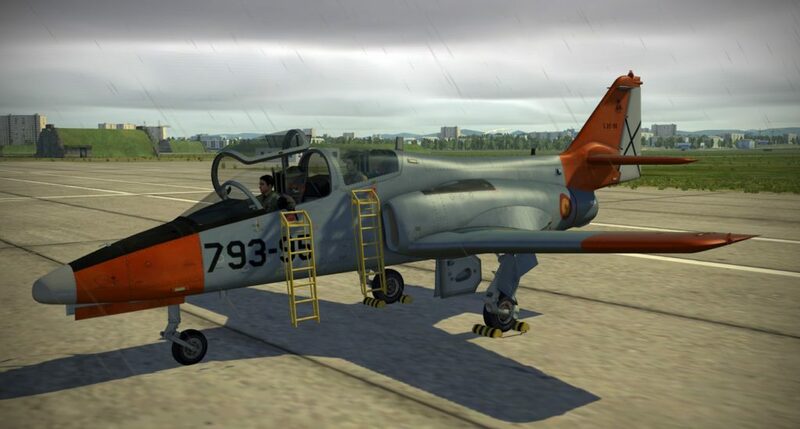 If you haven’t gone through a long start process in DCS World only to roll into the grass on accident because you forgot to verify your throttle was at idle – then you are a more attentive pilot than me! The X-Trident Bell 412 is no easy beast to master. 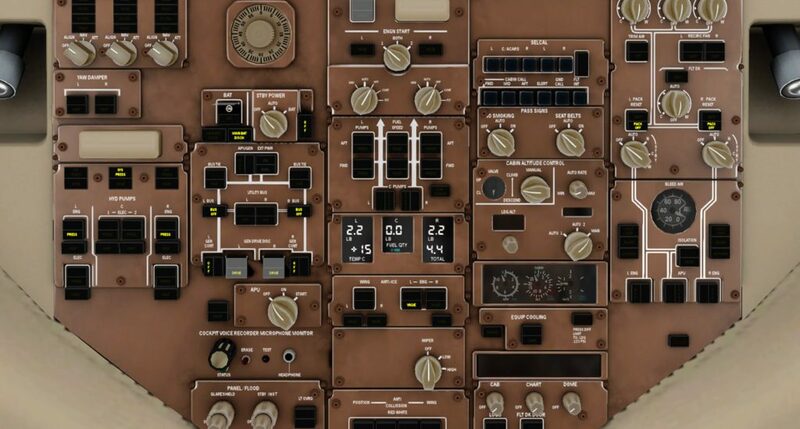 There are a ton of switches and settings all over the panel, cyclic stick, and collective that must be set correctly for safe flight. 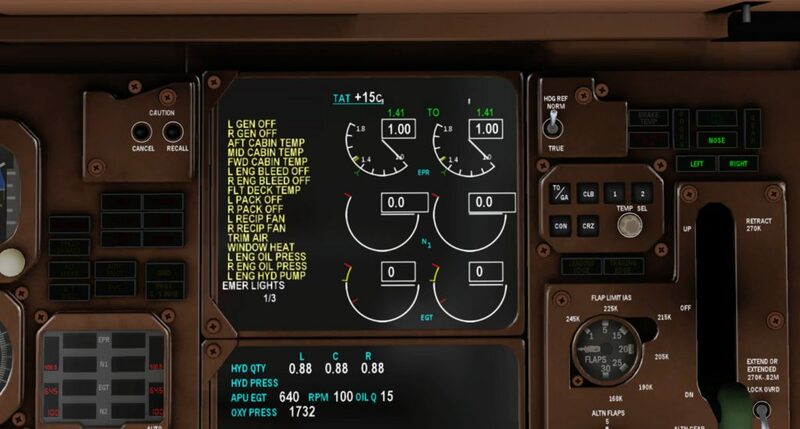 For those of us that also fancy flying aircraft built in other countries, there can also sometimes be the very real challenge of cockpit language labeling. 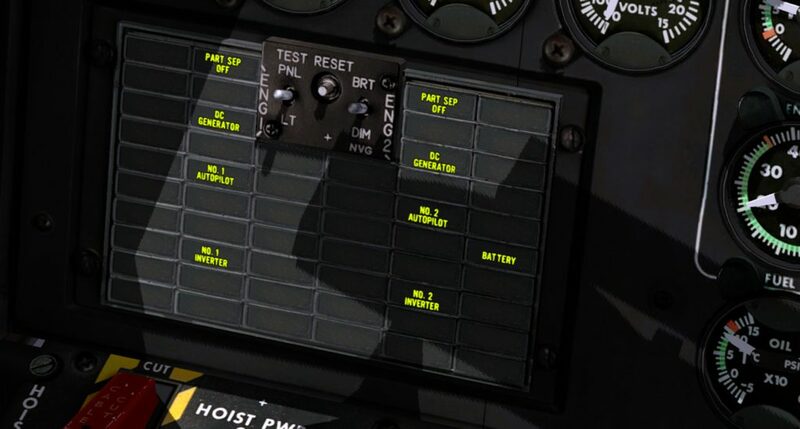 I have to admit that though I enjoy the challenge of bringing an aircraft out of its cold & dark state, I won’t flagellate myself by sticking to native cockpit labeling and will usually select English cockpit labeling or download an English labeling mod. There are limits to the insanity. 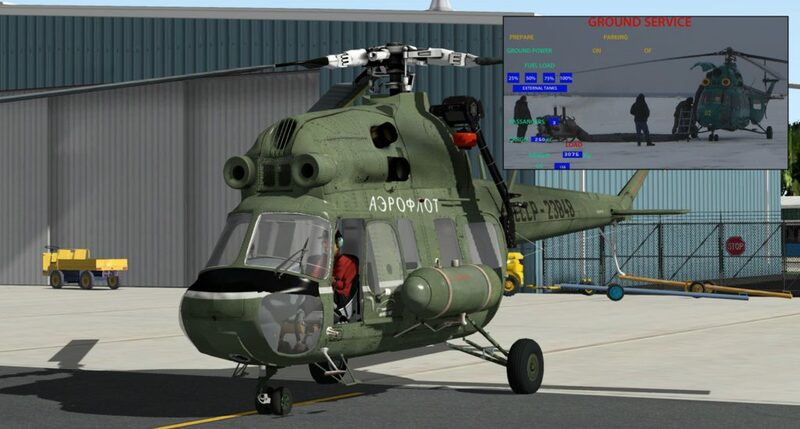 Not even I am willing to struggle through bringing a Chinese labeled Mi-8 to life! 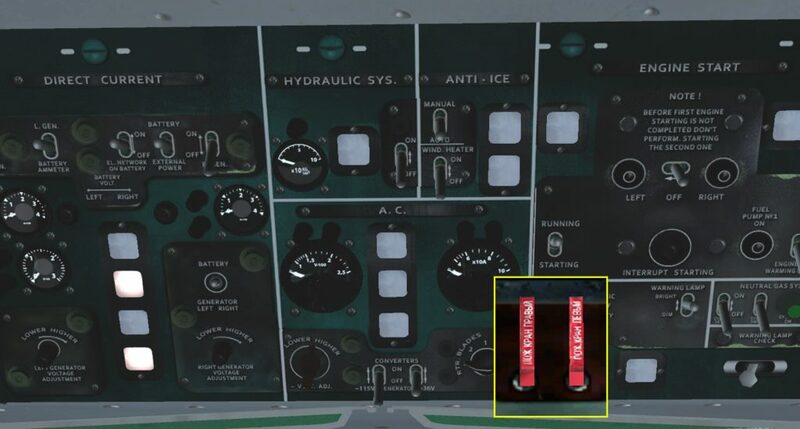 Thankfully, most aircraft modules have English cockpit label mods. 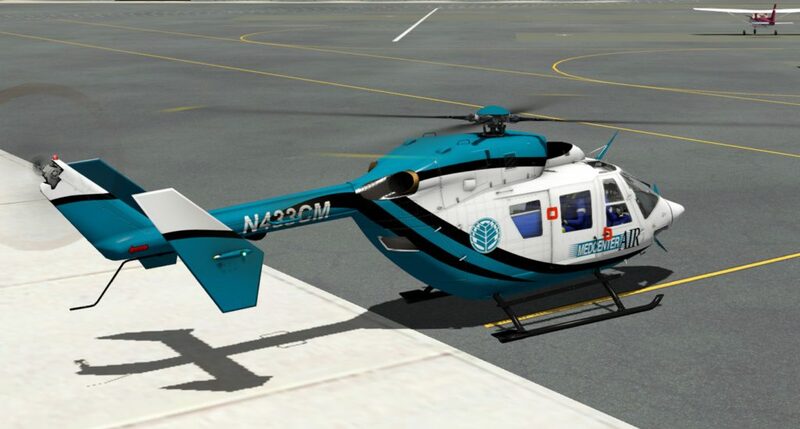 I’ve also found that helicopters can be particularly challenging to get started due to the quirks of their design that separate them from their fixed wing counterparts. There can often be one switch or control separating you from success or failure. Items such as rotor brakes, governors, and obscure switches on the collective can also prevent a successful start. 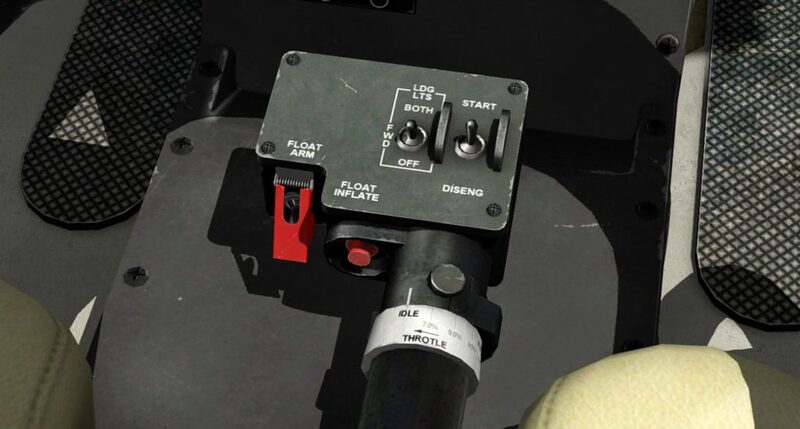 That isn’t to say that fixed wing aircraft can’t have a single Achilles heel as well – some aircraft require fuel pumps to be on for start, or gust locks to be removed, and some aircraft don’t have a battery and you must figure out that you need to call for a ground power unit to get the motors spinning. 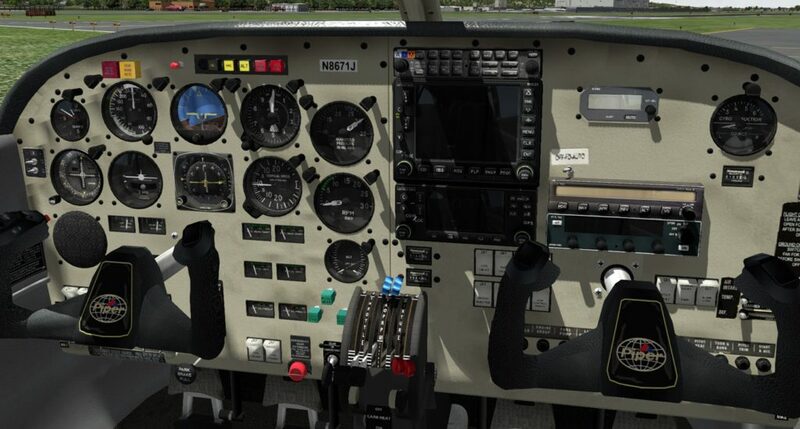 Once the engine is running, it’s just a matter of bringing the alternator or generator on, individual avionics, and/or an avionic master switch. 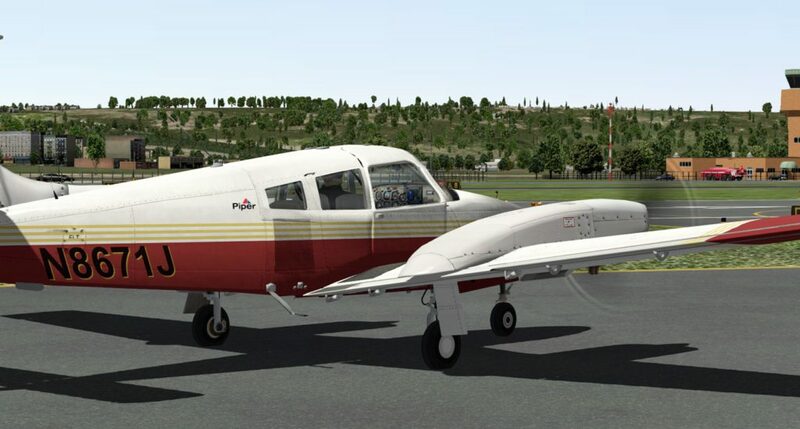 General aviation planes such as the AeroSphere Piper PA44 Seminole are fairly straightforward to bring out of their cold & dark state. Of course, many of my attempts to bring newly acquired aircraft to life without any knowledge of how they work are met with defeat. Many times I’ve sat for an hour scratching my head and wondering “what am I missing?? ?” only to finally relent, crack open the manual, and realize I had overlooked some vital link in the chain of success. It is for this very reason that pilots use checklists and memory procedures. At one point in my career I was employed by a company that operated (and I regularly flew) five distinctively different airplanes: a CJ1, King Air 200, King Air 300, Citation II, and a Citation V. All of the aircraft had different cockpit layouts (some were similar, but had major differences) and all had different performance numbers, memory items, and procedures. It was a struggle to move from week to week between each and feel proficient (I never did). At this point in my career, I’m confident that I can maintain proficiency in two aircraft at a time (the Citation Ultra and King Air 200), but would not be a fan of expanding beyond that. 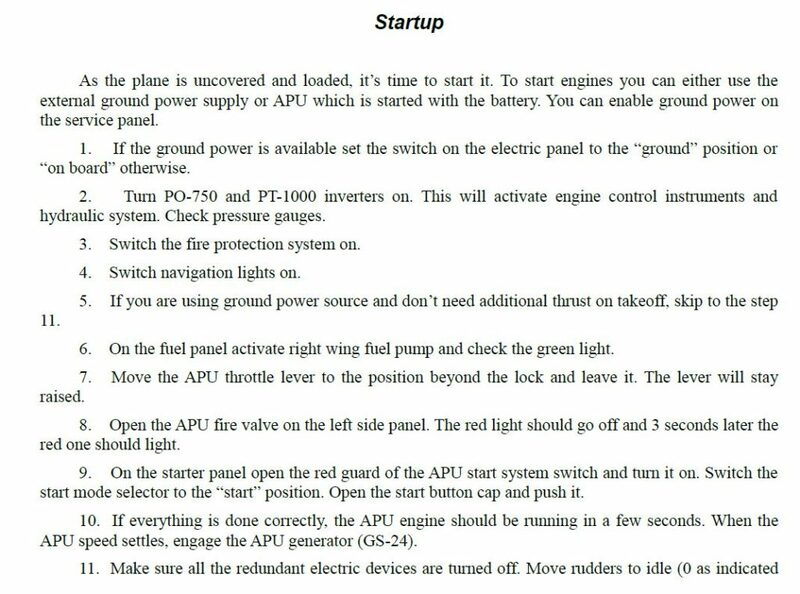 Occasionally, the aircraft documentation must be referenced to find the missing step or procedure to complete a start-up. In normal operations, it should always be used. I realize that it is different strokes for different folks. 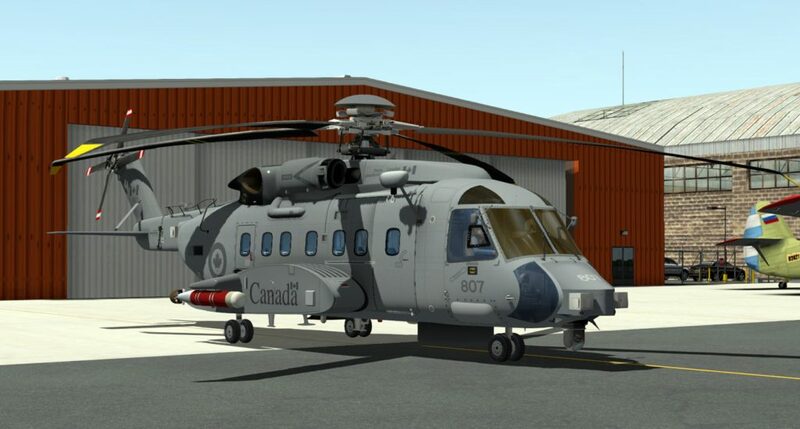 A few months ago, when I posted this cold & dark fetish of mine to the forums, it was fun to read how others approach their new aircraft purchases. 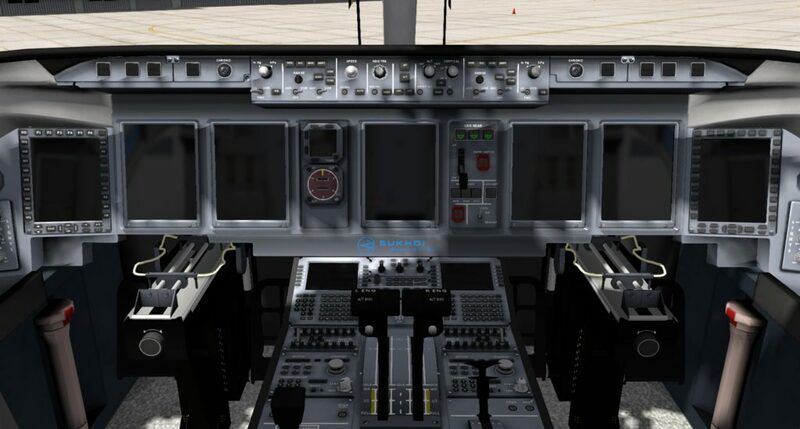 Some sit down with the manual prior to ever even starting the sim and religiously read every page of the instruction manual or Aircraft Flight Manual. Some like to go online and find a YouTube video to learn the process. Using my technique (trying to surmise the proper procedure from past experience) will often work, but can also lead to the aforementioned failures (hot start!) and can also leave the aircraft in a dangerous state where it appears it is ready to fly, but really isn’t. 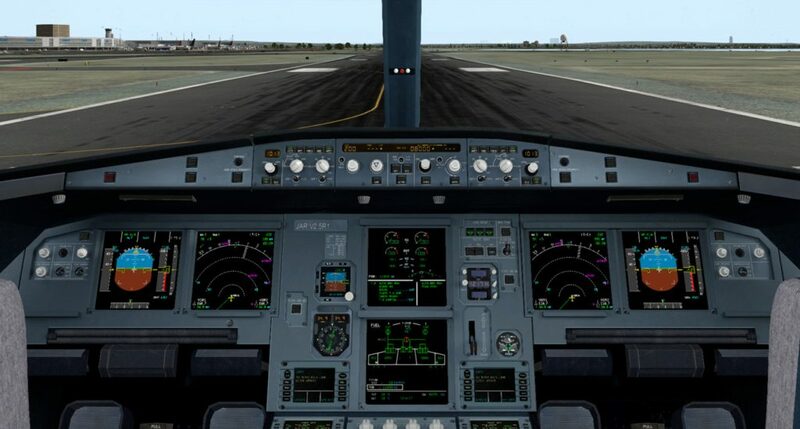 Things that come to mind are items such as anti-skid, auto-feather, rejected takeoff settings, stability augmentation systems, or pumps and switches that either should be on or off for takeoff. 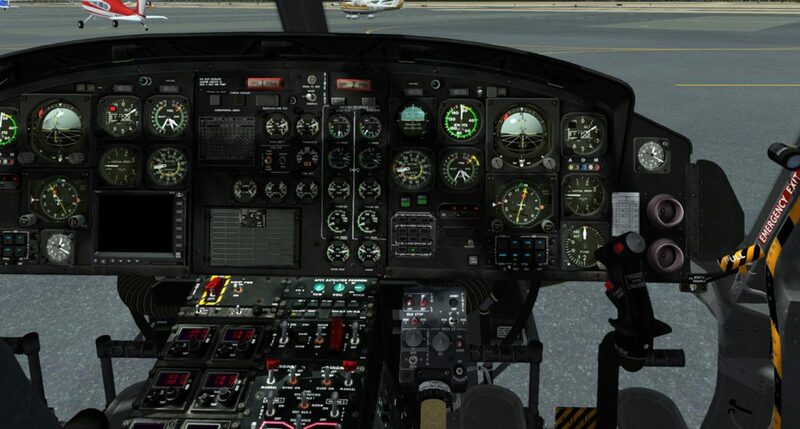 There’s nothing quite as exciting as lifting off over a precipice in the helicopter you brought to life only to realize you hadn’t rolled or bumped the engine RPM all the way up into the normal operating range! Part of the fun, of course, are the failures mixed with the successes. If you haven’t tried it, I highly recommend it, but remember to have the manual at the ready before you reach your boiling point and put your fist through the screen. Good luck! What a wonderful tribute to the cold cockpit! 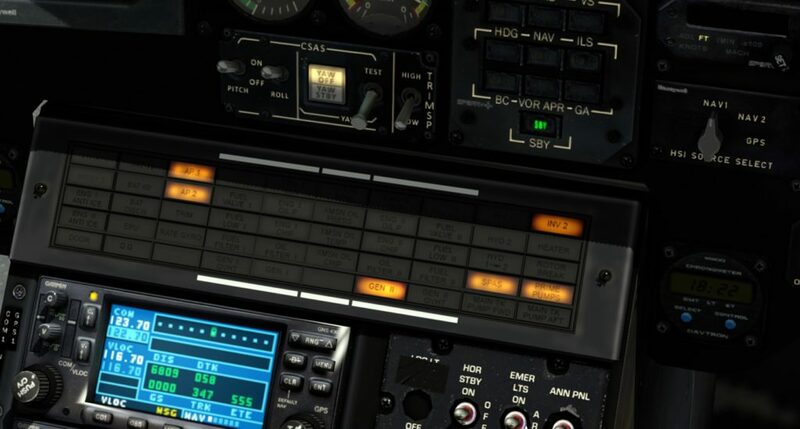 I do find starting an aircraft enjoyable, still looking for a good way to have an external checklist without having to alt-tab all the time. 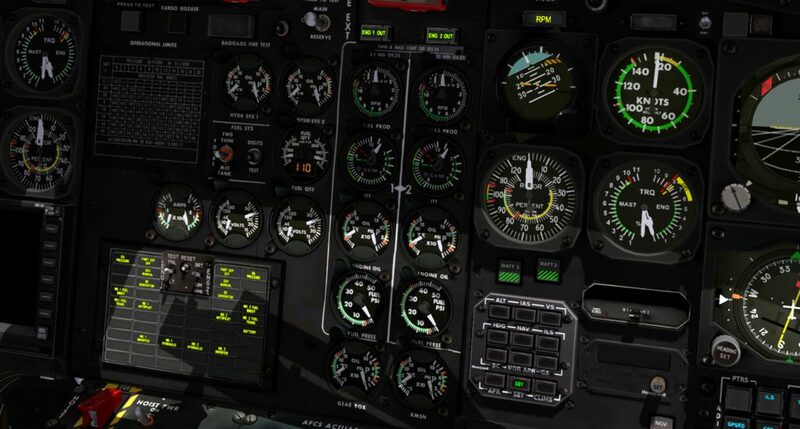 I also have a habit of watching the engine gauges pretty viciously, although I suppose I am still waiting on the day that DCS Modules will have random failures on start-up. 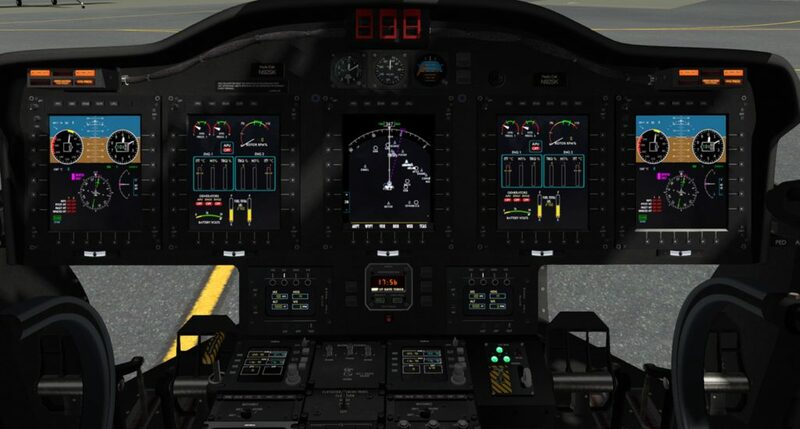 I’d hazard to guess that most people who consider themselves proficient in the DCS A-10C or Ka-50 cannot recite from memory the start limitations with regards to time and ITT. I cannot, and it’s frustrating! 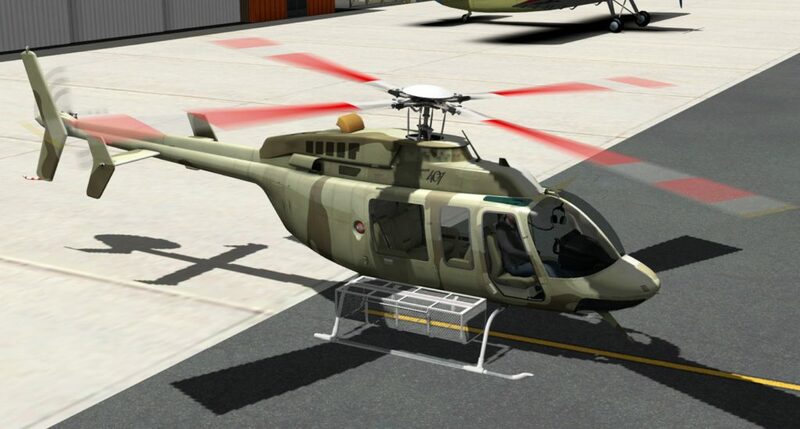 I guess there are gameplay considerations at hand for DCS (Sorry guys, gotta sit out of this mission while I go through diagnostics to see if we need to ground this bird), but you can make a pretty solid argument that being able to take for granted that your hydraulics, temps, etc are going to be beautifully within nominal conditions every time can be a real immersion-breaker. Thanks! Yeah…the concessions we give in the name of entertainment software are there, and I’m all for them (I don’t want to sit through a 45 minute start and checks procedure every time I start up the A-10 or Ka-50), and I only point them out because it is a huge component that is ignored for the sake of entertainment. The bit test you mention is a great example. 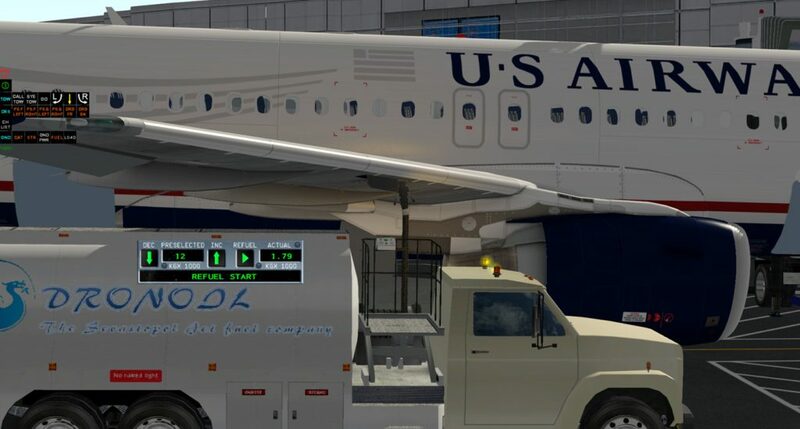 In real life, I had a first officer skip the “bit test” on our Ultra once…which entails pressing and holding a button while the displays go through a self test for about 45 seconds. 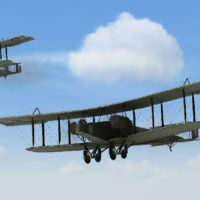 Had he done it, he would have found that the autopilot was not functioning because maintenance had swapped the IACs (Integrated Air Computers) from left to right to do some testing, and never switched them back. 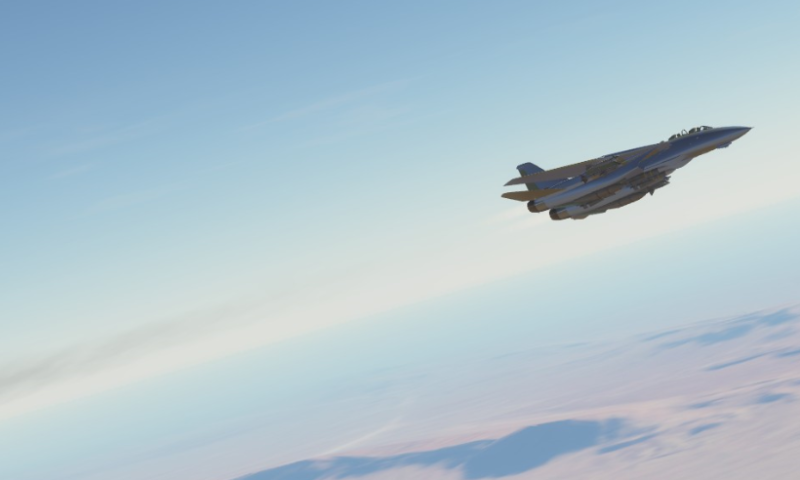 Well, IAC2 does not have autopilot outputs, so we had to fly all day without the autopilot. LOL…guess who got the longest legs? …however I have to admit that certain aspects that @BeachAV8R and @AeroMechanical mention above, the “start limitations with regards to time and ITT”, I conveniently ignore or, more accurately, pretend that don’t exist. I try to do them, if I have a checklist in front of me that reminds me what the values are or how long I should wait for something, but from memory? Nope. When I’m simming - I ignore them too. I mean, it is supposed to be unwind time for me. 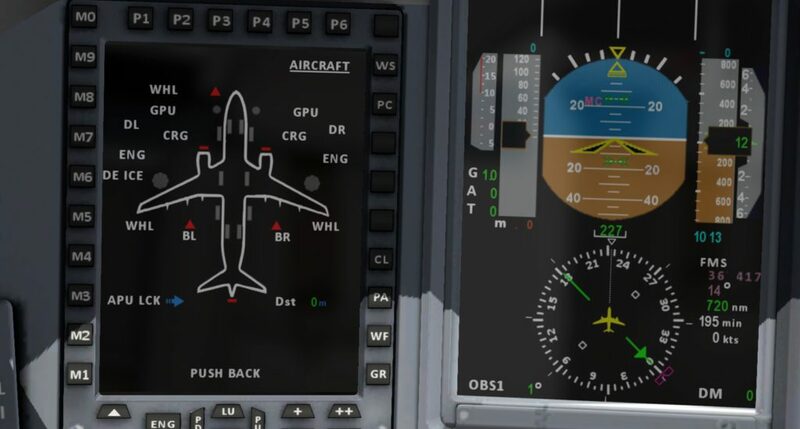 But in the real aircraft I fly…you can bet I’m watching the ITT throughout the whole start procedure, looking for fuel flow, oil pressure, and that the starter/gen cuts out at the right time. Just too many $$$$ on the line to not pay attention at that critical time. And all of the aircraft I fly have starter and battery limitations on starts. For example, the Ultra starter is limited to 3 battery starts per 30 minutes with 90 seconds of rest between attempts. If you use a GPU (which puts out more power and heats the starter more) you are limited to 2 starts per 30 minutes with 90 seconds between attempts. The battery (if it is NiCad) itself is limited to 3 starts per hour with a starter/gen assist start only counting toward 1/3 of a battery start. It would be really cool if more modules would model things like wind up the tailpipe hot starts and other things that can break the airplane. 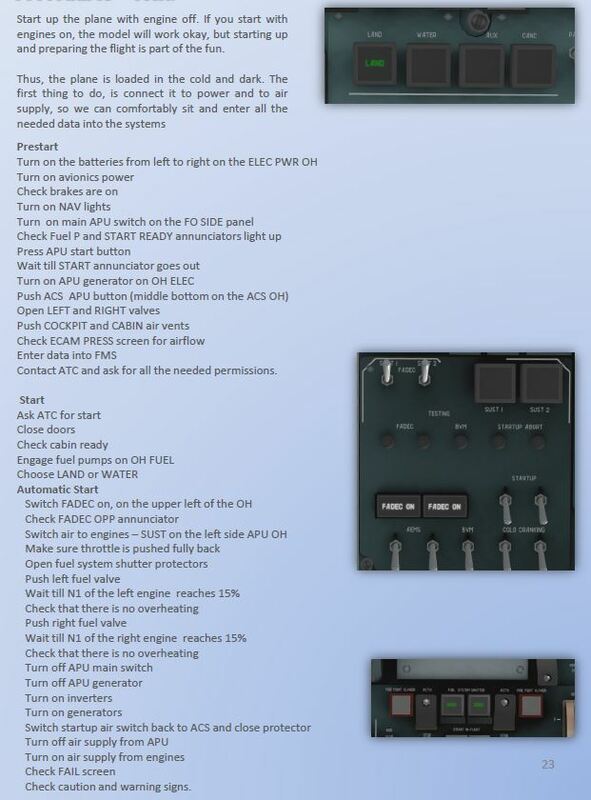 I always have a chuckle when cold starting the A-10C, thinking about @EinsteinEP cringing and groaning as I read off my start-up sequence. 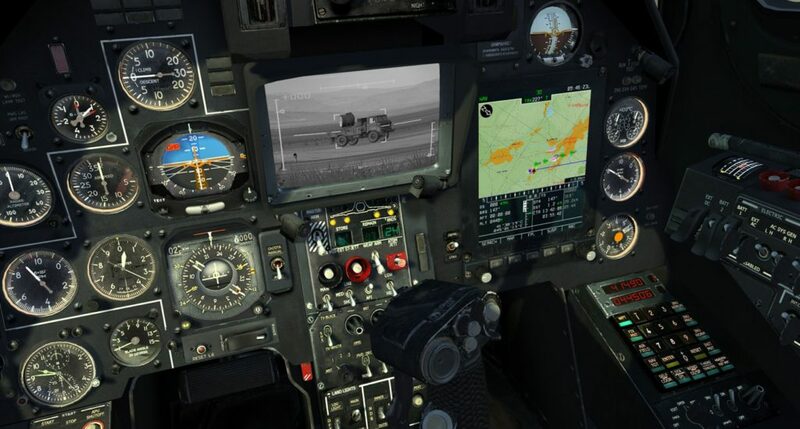 'Hmmm, let’s see, I’ll just switch all these things on while waiting for the APU to spin up… CICU, JTRS, IFFCC, CDU x2, Position Lights & Anti-Collision, THEN the APU Gen"
Beach, I completely agree. Cold/Dark Starts of a complex aircraft are a fascinating puzzle and I take a great deal of pleasure in mastering it before I even go flying. It’s a shame that many complex aircraft packages for sims don’t give enough helpful detail to accomplish the cold/dark startup (Carenado? hello?). 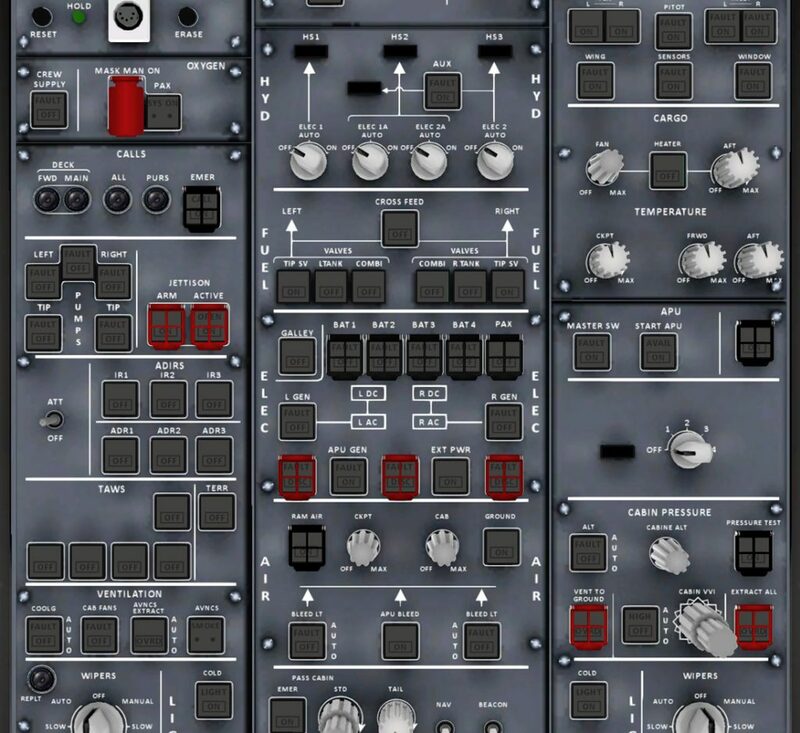 Luckily, I can almost always find salvation in a Youtube video by someone who’s happy to give fat-fingered morons like myself a hand up… Brian L.
Aside from the experimentation, i don’t like starting a game with a “hot” aircraft. 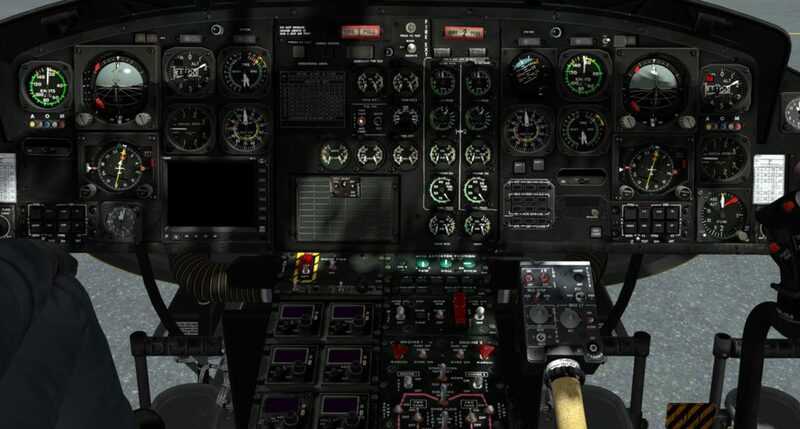 As in a real plane, i find that a cold and dark start in a sim makes my brain tick the same way. Each part of the set up makes me think about problem solving in different areas. Set up fmgc in the bus and entering departure makes me think about threats/modifications encountered on the departure. Setting up abris on the shark makes me think about threats ingressing and egressing from target. Some items i look at or flip a switch or press a button on makes me have a secondary thought to contingencies or what ifs in real life and in game. 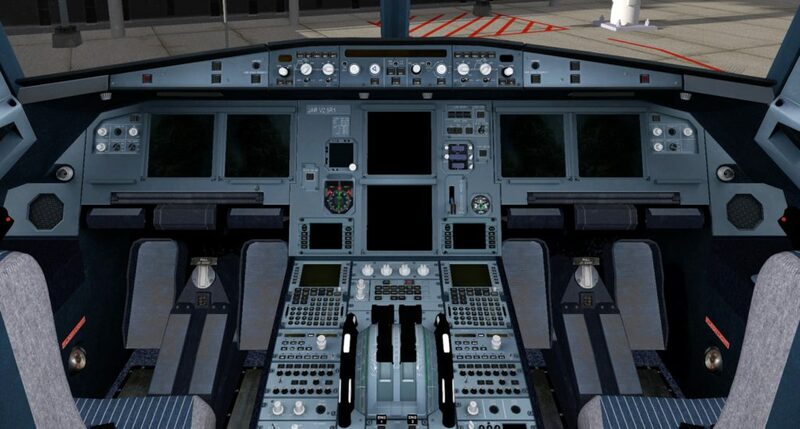 And its that extra bit off added brain usage that i find helpful and fun flying cold and dark on a sim. There’s just no reason to do the full procedures in most sims. The light bulbs are never burnt out, you’re not gonna get a hot start, and your radar will always pass the BIT. I love doing cold starts but I’ll skip all the tests and BITs unless they’re actually needed for that system to function. I wondered what this plane is? I love spending ages flipping switches, but I’ve been known to be too tired to fly by the time i’m ready after a days work. Mostly, folks who do the full procedures in these are just doing it for the lolz. I know I am, but, just like you mentioned, when I know there’s zero possibility of a failure, it kinda kills the motivation to go through an extra 5 minutes of testing. I’d love to see a “random start up failures” flag where you have to troubleshoot a FLCS failure, or weapon init, or EEG failure, or something similar, but I also recognize that’s not everyone’s cup of tea. it kinda kills the motivation to go through an extra 5 minutes of testing. I’d love to see a “random start up failures” flag where you have to troubleshoot a FLCS failure, or weapon init, or EEG failure, or something similar, but I also recognize that’s not everyone’s cup of tea. My impression is that if you encounter a BIT failure in the start up procedure of a system in a combat jet, you turn it off and turn it back on again. If it fails again one of two things happens. That jet is not flying with that system today. The other option is that you’re just not using that system. Which can be interesting. I think that’s the more tantalizing option, but where exactly that comes into play is important- it could be walking a very fine line between making things interesting and making them supremely annoying with little benefit. On one hand- that instance Saturday (in That Other Sim) where you had a TGP issue and one of us (@Tyco) had to buddy laze- well, that can lead to some fun stuff. 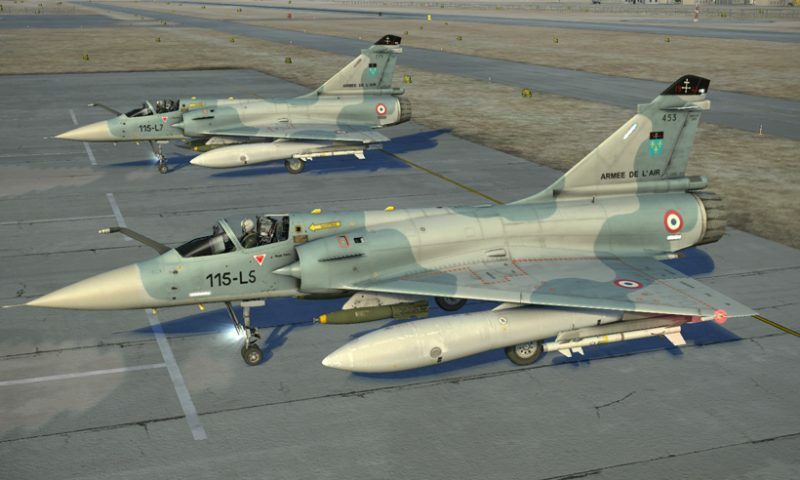 11-F16 has a bunch of interesting little snippets for things like trailing a wingman during a loft and timing your release based on his (allows you to loft without any CCRP computations) that could come into play. 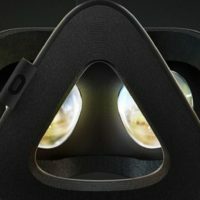 If it’s adding to the depth and variety of experiences in the sim, great! …On the other hand, say you only have time to do a quick scramble mission and you’ve just been hankering for some brutal BVR combat. 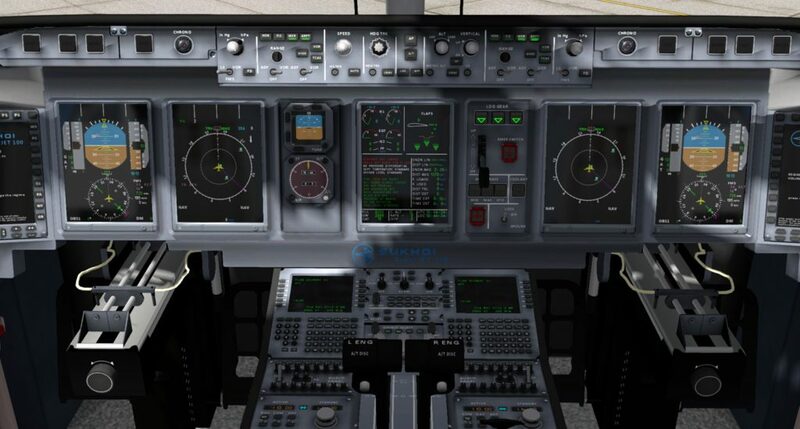 You boot up the sim, hop in the jet, and start running through your quick-start checklist when… FCR failure. Not ideal.